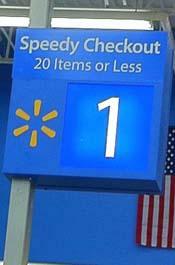 JANUARY 14--Enraged that a disabled Walmart shopper in a motorized scooter was trying to purchase 22 items in a 20-items-or-less express line, a 77-year-old Florida man allegedly battered the victim with his metal shopping cart, according to cops who arrested the senior citizen on a felony charge. 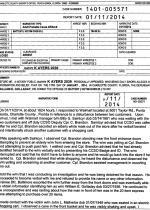 The bizarre confrontation at the Punta Gorda store began Saturday evening when John Malherbe was unloading items in the express lane, according to a Charlotte County Sheriff’s Office report. The 67-year-old Malherbe was seated in an “electric shopping cart,” which held his walking cane. Malherbe told deputies that as he placed his purchases on the checkout counter, William Golladay, 77, stood behind him counting the items. “When the count exceeded 20, Golladay began yelling at him that he had too many items and told him he couldn’t use that register,” Malherbe recalled. 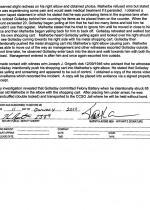 After the two senior citizens exchanged words, Golladay initially retreated to his own shopping cart. But he then resumed yelling and approached Malherbe. “Golladay then intentionally pushed the metal shopping cart into Malherbe’s right elbow causing pain,” investigators reported. 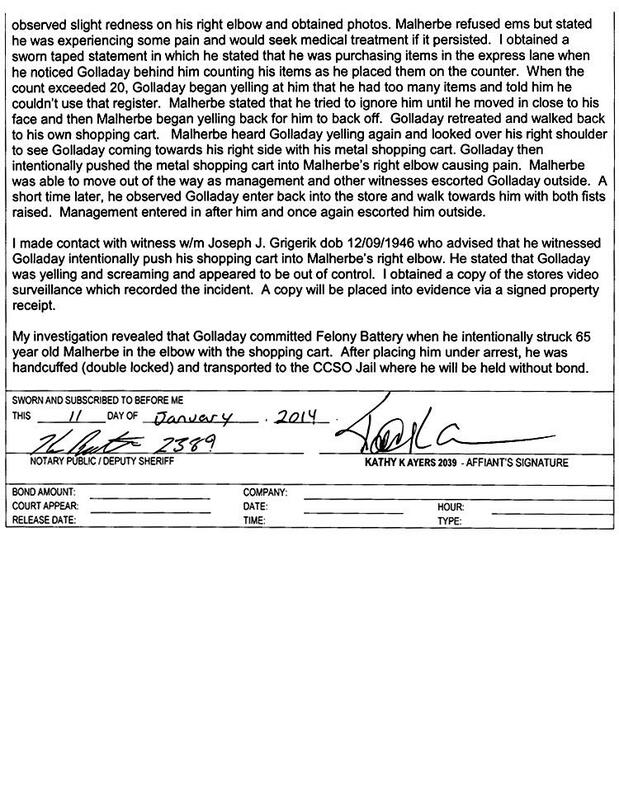 Walmart managers then escorted Golladay out of the store, but he returned and walked toward Malherbe “with both fists raised.” Store workers again interceded and steered Golladay outside, where he was subsequently interviewed by a deputy. 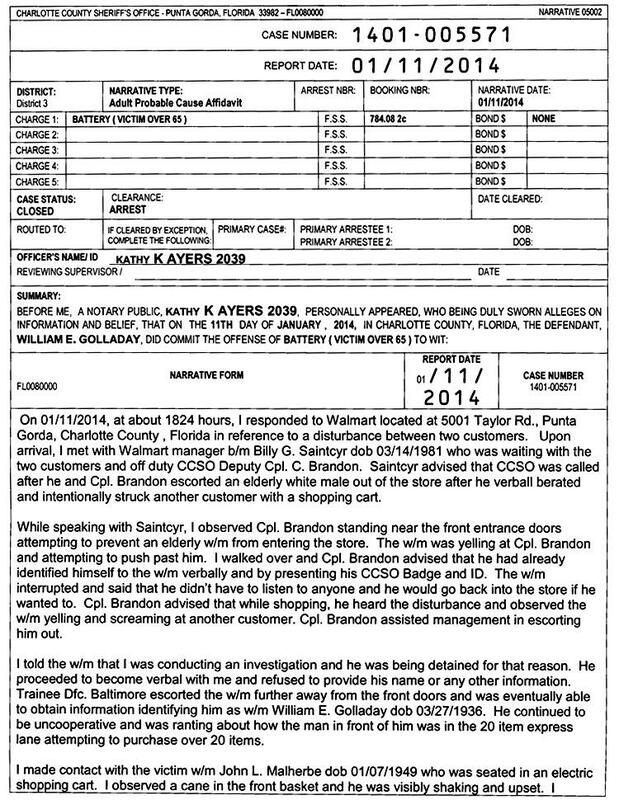 Golladay was “uncooperative and was ranting about how the man in front of him was in the 20 item express lane attempting to purchase over 20 items,” a deputy reported. Malherbe, who was “shaking and upset” when interviewed by law enforcement, said he was “experiencing some pain,” but declined medical treatment.